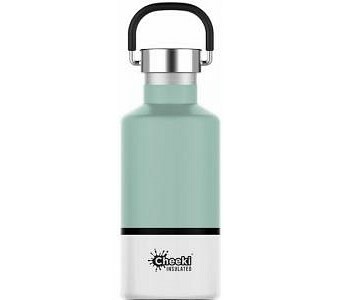 Cheeki’s classic 400mL insulated bottle is made from premium 304 (18/8) stainless steel in a single-mould design with a rounded, rubber-cushioned base for durability so extreme it’s covered by a lifetime warranty. And with next-generation vacuum insulation, the bottle you’ll keep for years can keep your drinks cold or hot for more than a day – up to 36 hours for cold beverages and 24 for hot ones. They’ll stay pure and pleasant-tasting throughout thanks to an unlined interior and a BPA-free silicone seal that means they never touch plastic. Fitted with a comfortable rubber carry handle and attractively finished with nontoxic paint, the bottle will fit most car and backpack drink holders, so choose a colour and hit the road or the trail with a drink that will stay drinkable till the end of the journey! 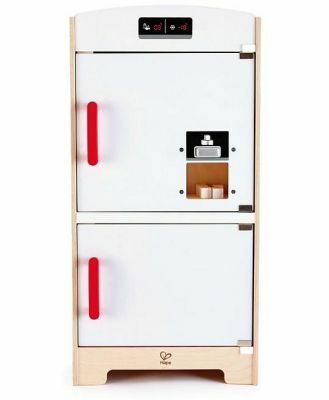 This is the lowest price seen on this item at Lime Tree Kids in the last 6 months!